Join GHA in celebrating the 50th anniversary of the Fair Housing Act. Learn about our upcoming celebrations below. Show us what fair housing means to you! Using supplies provided by GHA, we ask children to get creative and design posters that show their interpretation of fair housing. The deadline to submit poster designs is Friday, April 13. Winners will be announced at our story hour/ice cream social event on Wednesday, April 25. For questions about projects and supplies, contact Resident Services Coordinator Sylvia James at 352-872-5500 ext. 7135. In celebration of the 50th anniversary of the Fair Housing Act, your child is invited to join GHA for special reading of the book, “When Chocolate Milk Moved In,” by Ken Harvey. The book examines ethical, moral, diversity and life-values lessons. 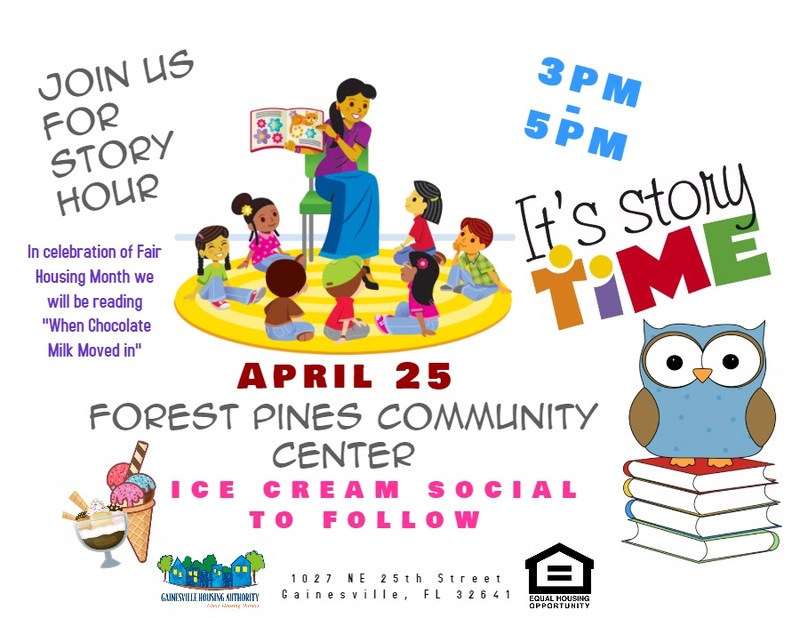 Following story time, children will be treated to an ice cream social. 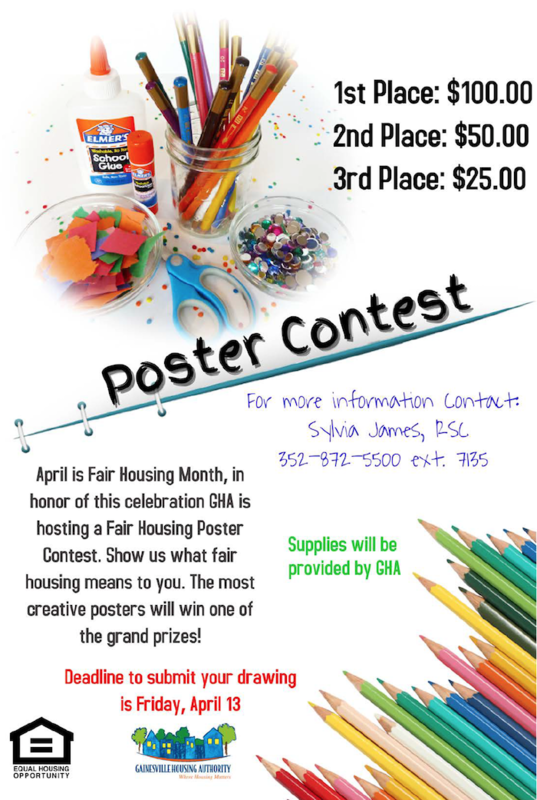 We will also announce the winners of the Fair Housing Poster Contest. If you wish for your child to attend this event and/or are in need of transportation assistance, please contact Resident Services Coordinator Sylvia James at 352-872-5500 ext. 7135 by Wednesday, April 18.